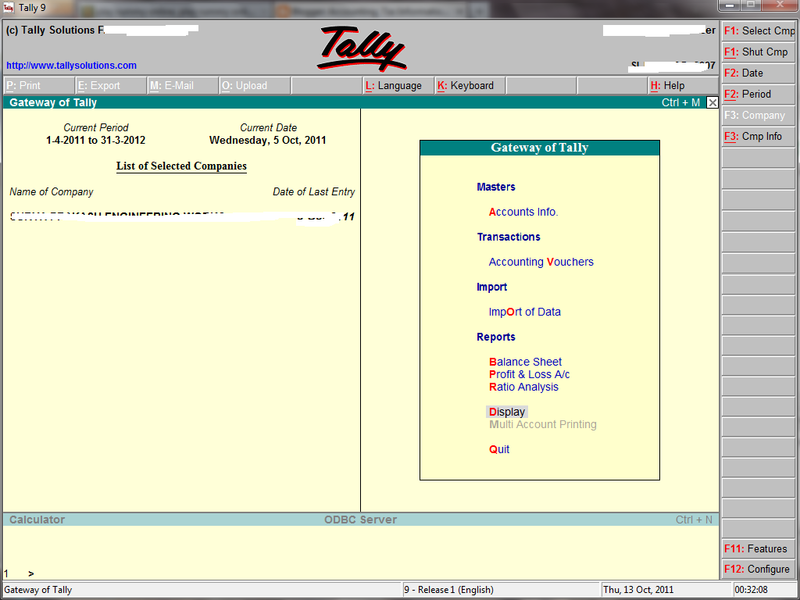 Home Tally How to View Ledger Wise Trial Balance in Tally ? 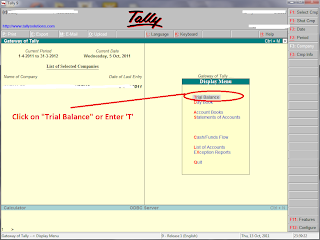 How to View Ledger Wise Trial Balance in Tally ? 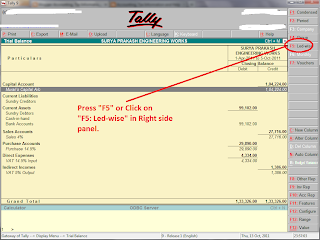 By Default Tally Displays Trial Balance in Group Wise. 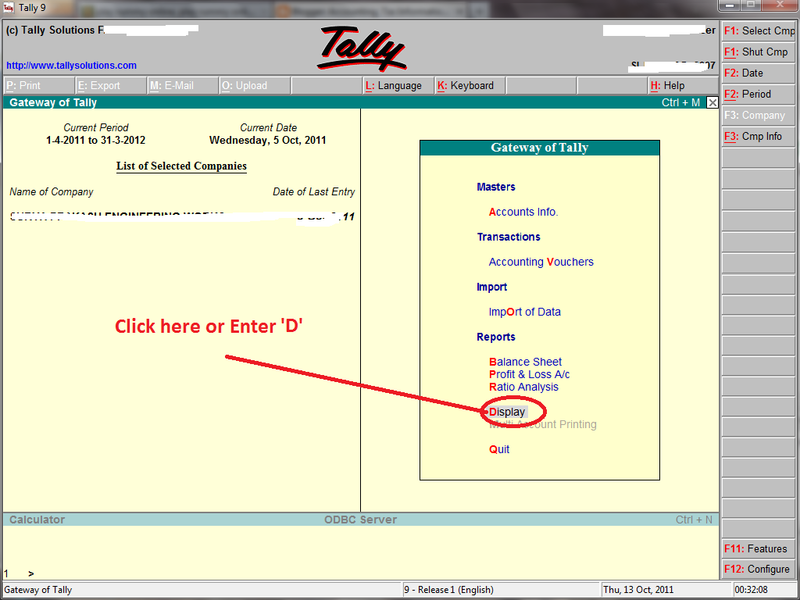 If you see Trial Balance in Ledger Wise, Follow the following Simple Steps. Now you can see Group Wise Trial Balance. 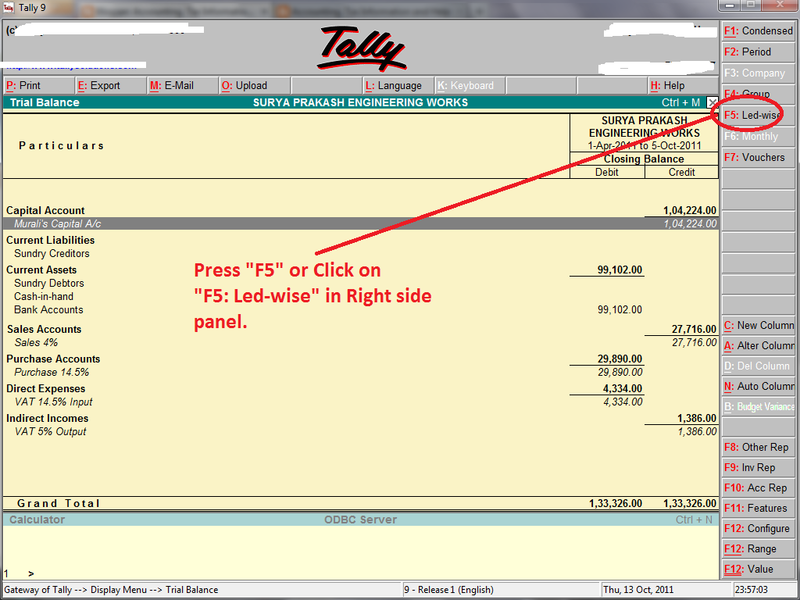 Press "F5" or Click on "F5: Led-wise" button on Right side Panel. Now you can see Ledger Wise Trial Balance.